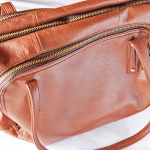 Being a bag addict, I love having variety in my collection–totes, rucksacks, sling bags. Of course, I also love having bags in different colors. 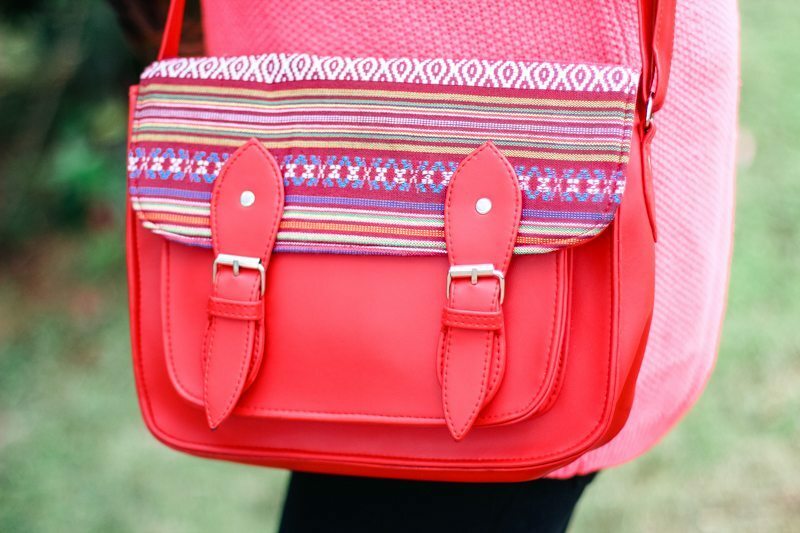 I’m especially fond of this bright red satchel with a tribal print flap. It’s just the perfect size for carrying my current read! 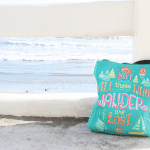 Check out the book in my bag! These are actually old shots from a trip up north last year. 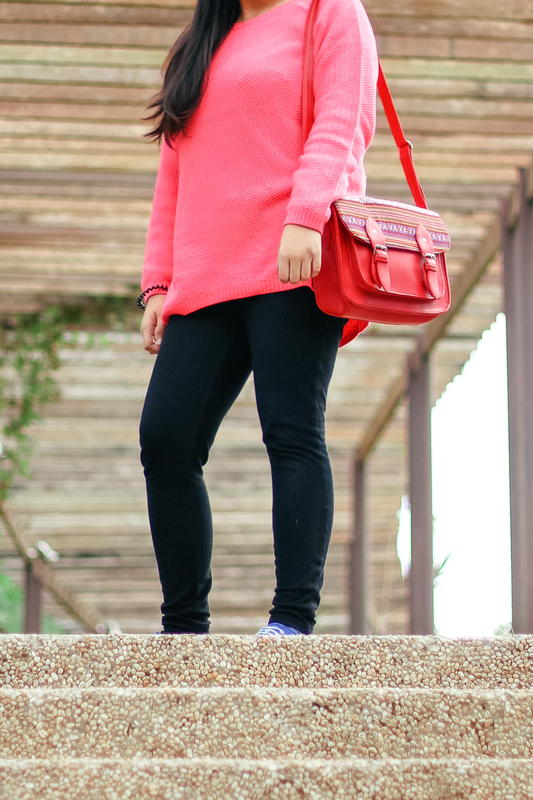 It was chilly then, compared to the hot summer I’m experiencing at the moment in Manila, so I was wearing my bright pink pullover. Yes, this post is called The Bright Edition for a reason. This is an intense, gripping novel perfect for fans of Jay Asher, Rainbow Rowell, John Green, Gayle Forman, and Jenny Downham from a talented new voice in YA, Jennifer Niven. The book in my bag right now is All The Bright Places, which I’m reading just in time for Jennifer Niven’s signing tomorrow! Her book tour in the Philippines already started today and tomorrow she’ll be stopping by my city. I’m really enjoying her prose so far (halfway through the book already) so I’m definitely excited to meet her soon. What Else Is In My Bag? That’s pretty much it. I don’t keep a lot of things in my bag and I don’t have any essentials, except for my phone and wallet. And a book to read of course. I’m hoping to finish All The Bright Places tonight so I can discuss it with friends at tomorrow’s event. If you’ll be attending too, let me know! Your turn! 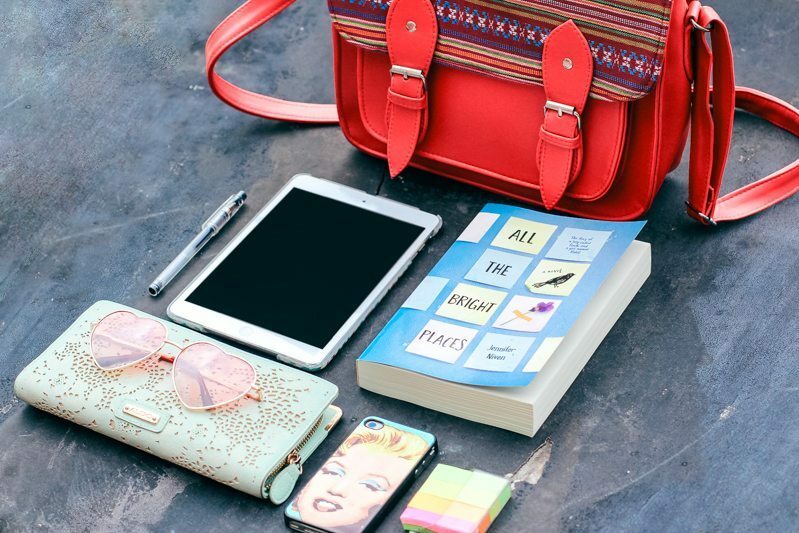 What book is in your bag right now? Pooh! I love that bag! I carry a bag to work which I use for all my personal stuff. That bag is in addition to my nursing stuff and my laptop bag for work. I wish I jadbaboretty bag like that to use instead. I have heard such great things about All the Bright Places, but I haven’t read it. I got her newest book at BEA this year and I can’t wait to read it! Omg! All the typos in that comment. Sorry, that’s what I get for trying to comment from my new phone. Great post anyways! That bag is STUNNING! I carry around a very small black handbag which actually holds quite a lot, but is just not big enough to bring a book. I’ll always have my phone, lip balm, some meds (just in case), an anxiety bracelet, and my ID card with me. Oo, I love this. I’m a huge snoop hahah, I watch so many What’s In My Bag videos and I love that you’ve made it book related. I wasn’t a huge fan of All The Bright Places, but hope you enjoy it more. Also love that you bring post it notes around !! P.S I just realised this is a series you have on your blog, full credit to you if I do do it on my blog! !